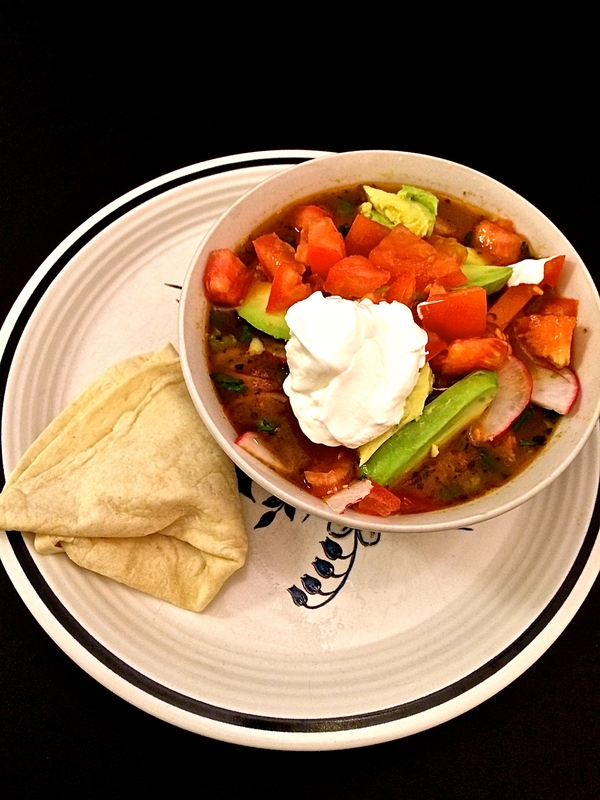 Pozole Two Ways – One Half Indian. I love how the soup itself is kind of normal. I mean it’s good, but not great on its own. 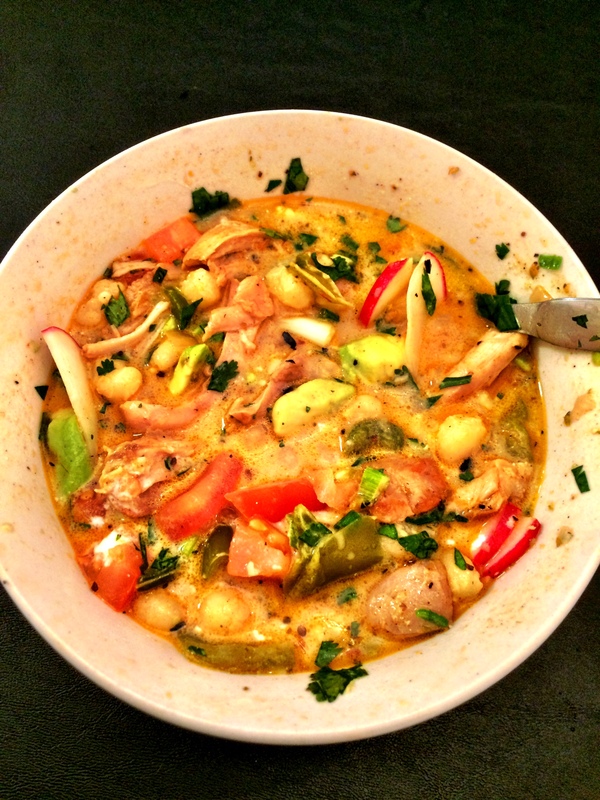 However, once the fresh toppings are added to this soup, it becomes out of this world amazing. Dhasu. I don’t ever really measure anything when I make this, so if you don’t have a spice or think you messed it up, just remind yourself that you can’t mess it up. Everything and anything goes in this dish. Mix the spices together in a bowl. Lay the trimmed thighs on a cutting board or plate and evenly sprinkle half of the spices on one side of the thighs. Then flip the thighs and sprinkle the rest of the spices on the other side. I like to kind of pat the thighs (does that sound dirty?) to be sure the spices stick. Heat oil over medium – medium/high heat in large soup pot. Once the oil is hot, brown the chicken thighs (approximately 2 minutes on each side). Remove the chicken to a plate that can collect all the juices that will drip. In the same pot that cooked the chicken, add the onion. Cook the onion until it browns slightly (5-8 minutes depending on pan heat). Add the garlic and peppers (poblano and jalapeño) and cook another two minutes. Add the hominy. Cook another 1-2 minutes. Add broth and water to pot. Bring to boil, cover, and let simmer for 15 minutes. Add chicken thighs and any liquid that has accumulated back into the pan. Continue to simmer for another 10-15 minutes. Take the chicken back out and shred it. (I find it easiest to shred chicken using two forks. One fork holds the meat and the other pulls away from the meat.) Add the shredded chicken back into the pot. Serve soup and add whatever toppings suit your palette! If you’re like me, you’ll want them all. My messy, mixed together, half-eaten bowl of soup. Mmm.